Extremely stable, surviving without melting at very high temperatures. 4-7% produces semi opaque, 8-10% usually produces full opacity but some transparent glazes do require more. 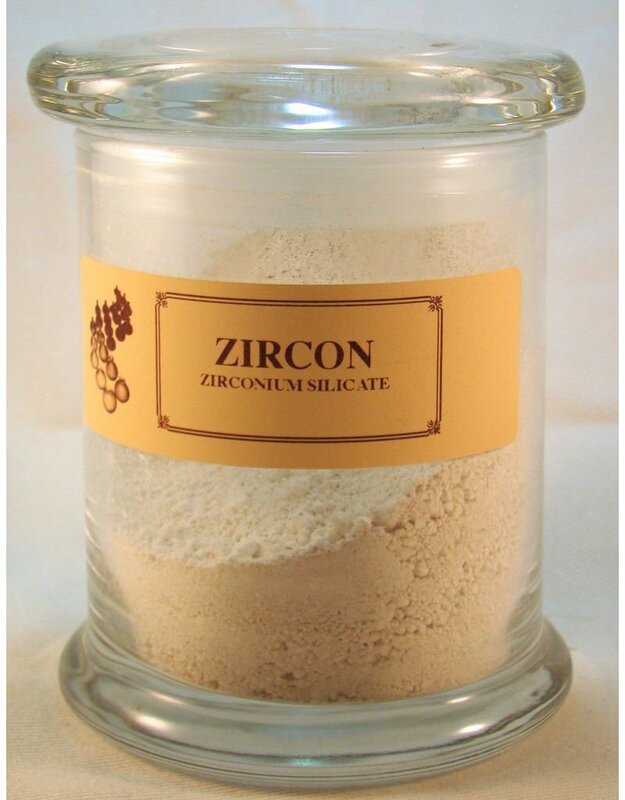 Has a low expansion so tends to reduce crazing but crawling and pin holing can occur in high zircon melts - normally solved by cooling slower and ensuring a good bond when applying the glaze. 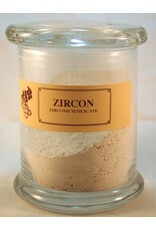 It reacts less with colourants in the glaze than tin does - significantly cheaper than tin but only half as effective.Zircon stiffens the glaze and produces a harder glaze surface and reduces thermal expansion more than tin. Glass jar is for illustration purposes only.